Starting from the 18th century, jigsaw puzzles have won the minds of a vast number of adults and kids. It’s because these games are both simple and fascinating pastime. 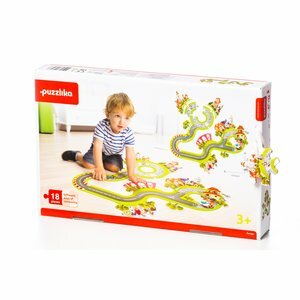 In addition, puzzles perfectly develop logical thinking, creativity, attention to detail, and imagination. Solving a jigsaw puzzle boosts your creativity and develops such useful skills as patience and perseverance. Jigsaw puzzle for putting together 5 individual pictures with a different number of elements. 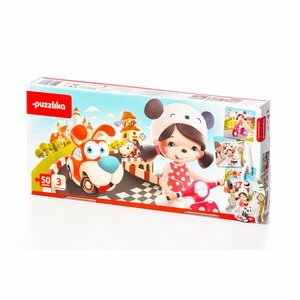 This puzzle is made of crush-resistant stiff cardboard. Made in Ukraine. Jigsaw puzzle for putting together 3 individual pictures of the different level of complexity. 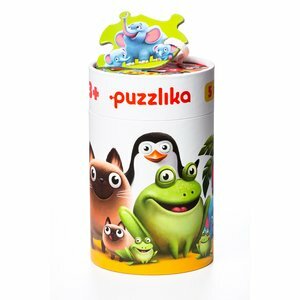 This puzzle is made of crush-resistant stiff cardboard. Made in Ukraine. Jigsaw puzzle for putting together 10 individual pictures, each consisting of 2 pieces. 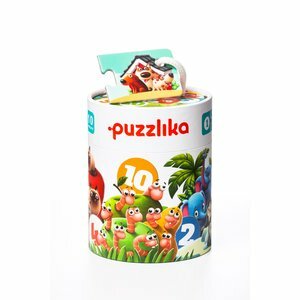 This puzzle is made of crush-resistant stiff cardboard. Made in Ukraine.